Discover our full range of real time clock products here and use our product search to find the exact RTC module you need. Our highlighted key RTC products are chosen for their combination of highly competitive commercial pricing and large range of specifications. For more information on our key product range you can contact our expert advisers here. 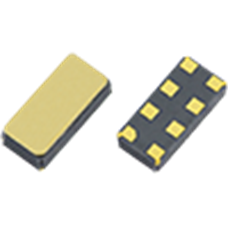 The RV-3028-C7 boasts ultra-low current consumption of only 40nA, ideal for many applications requiring low power components. This RTC with miniature 3.2 x 1.5mm package and I2C bus interface offers excellent ±1ppm stability @ 25°C with built-in crystal and incorporates many additional real time clock module functions including alarm, timer, interrupt, power management, 43 bytes user memory, 2 bytes user RAM and trickle charge. Full AEC-Q200 qualification is available. This product was previously named RV3028C7. Providing a highly cost effective all-in-one real time clock solution, the RV-8263-C7 has low current consumption of just 190nA typical and is operable over wide voltage range of 0.9V to 5.5V. The RV-8263-C7 also features a miniature surface mount package with tiny 3.2 x 1.5mm package, excellent real time clock functionality including alarm setting, timer, I2C interface, and automatic leap year calculation from 2000 to 2099 in addition to standard clock and calendar functionality. This product was previously named RV8263C7. 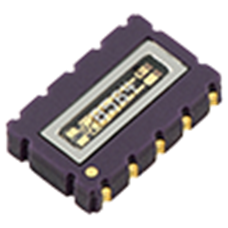 The RV-2123-C2 real time clock (RTC) module offers the engineer SPI bus interface with low supply voltage options within a miniature surface mount package. A time-saving all-in-one solution with our lowest power consumption for an SPI bus module, this uncompensated solution also features excellent shock and vibration resistance and optional AEC-Q200 qualification. 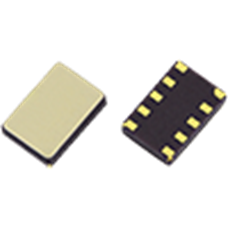 Due to technology improvements the RV-3029-C2 is no longer recommended for new designs but is suitable as a drop in replacement for existing designs within a 5.0 x 3.2mm footprint which require I2C bus 2-wire serial interface and frequency stability over temperature ranges as wide as -40 to +125ºC. For new designs that require extended temperature ranges please consider the smaller and more competitive RV-3029-C3 or RV-8803-C7 for designs where power consumption is paramount. This product was previously named RV3029C2. Due to technology improvements the RV-3049-C2, SPI bus RTC is no longer recommended for new designs but is suitable as a drop in replacement for existing designs within a 5.0 x 3.2mm footprint and which require SPI bus and frequency stability over extended temperature ranges as wide as -40 to +125ºC. For new designs that require temperature compensation over extended temperature ranges please consider the smaller and more competitive RV-3049-C3. This product was previously named RV3049C2. 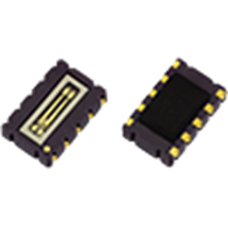 The RV-3049-C3 packs superb timing stability, temperature compensation and SPI bus interface into a miniature 3.7 x 2.5mm surface mount package. Wide operating temperature ranges of -40 to +125ºC are available as is AEC-Q200 qualification and full PPAP documentation on request. Due to technology improvements the RV-8564-C3 with I2C bus interface is no longer recommended for new designs but is fully available for existing design-ins. For new designs that require low power consumption please consider the smaller and more competitive RV-1805-C3 or RV-4162-C7 for designs where highly competitive pricing is paramount. This product was previously named RV8564C3. If you can't find the real time clock product you're looking for within our product search don't worry, you can let us know your RTC requirements here. Alternatively, get in touch with our expert technical team on +44 1460 256 100 for a fast solution to your query.